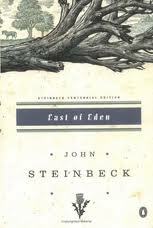 Your voice added depth and meaning to a piece of literature which previously left me feeling profoundly indifferent. 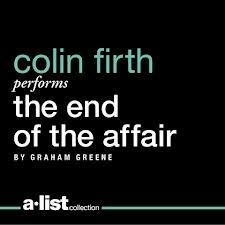 It's been ten years since I read The End of the Affair by Graham Greene. My reaction at the time was one of total apathy - no connection, no sympathy, not so much as a trace of like or dislike toward any of the characters. Greene's prose elicited a similarly flat response. However, listening to you read Greene's work was a very moving, albeit depressing, experience. So depressing, in fact, it took weeks to finish a short six and a half hour audiobook. (I put it aside several times to read something cheerier.) How did that feeling elude me in print? Several weeks have passed, and I continue to think about an audiobook that left no lasting impression in print. As various passages come to mind, I marvel the sheer beauty of Greene's writing. I still don't care much for the story, but I can appreciate what Greene accomplished and will now consider reading more of his work. This production is a testament to audiobooks and the power of the spoken word. Full disclosure: I downloaded a free copy of this audiobook during a recent promotion at audible.com. Each morning I am awakened by the sound of a tinkling bell. A cheerful sound, it reminds me of the bells that shopkeepers attach to their doors at Christmastime. In this case, the bell marks the opening of the hotel door. From my room, which is just off the winding staircase, I can hear it clearly. It reminds me of the bell that calls to worship the novice embarking on a new life. In a way I too am a novice, leaving, temporarily, one life for another. Pulitzer prize winning journalist Alice Steinbach, trying to discover who she is when removed from work and family roles, takes a sabbatical to travel the world on her own. During the 1993 journey, she writes numerous postcards to herself which will later serve to jog her memory as she documents the journey. 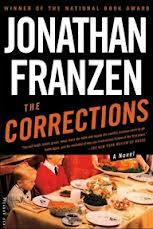 This book was recommended by a book club friend and, after just 60 pages, I am enjoying it immensely. What do you think of the opening? Monday Musing: And I'm Back..
Hello everyone! It's Monday morning, the long holiday weekend is behind us, and I'm trying hard to regroup and organize for what's left of 2012. Tuesday was filled with last minute shopping, pre-cooking anything possible, setting the table (only 17 this year), and completing two Pin It and Do It projects. Wednesday - Drove 3 1/2 hours to Twin A's college, listening to The Tenant of Wildfell Hall all the way and, for the life of me, I can't figure out why Anne is the least popular Brontë. Caught up with Twin A on the drive home, arriving just in time for slow cooker chicken cacciatore courtesy of Daughter #1. Turkey brining process begins. Thursday - THE BIG DAY - a Thanksgiving Day celebration with family and food, ending with a favorite movie or two (it's still awkward to watch Animal House with your mother even after you're grown!) This is Twin A 's dessert photo collage. 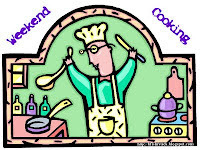 Friday - Packed up all the leftovers and headed to my sister's for more family fun. So happy my brother and his family from Philly planned an extended visit. I also discovered the pleasures of a chocolate martini! Saturday - A quick shopping trip with Daughter #1 before the annual Family Christmas Party. With over 30 members of our extended clan present, including most of my cousins, the Yankee Swap is always the highlight. Sunday began with a trip to the Christmas tree farm. After what seemed to be a shorter than normal search, we cut down the perfect tree. It will be at least a week before we bring it inside and decorate. Then it was off to the movies to see Lincoln, but we were shut out. It sold out just moments before our arrival. We decided to have an early dinner at a favorite local tavern instead, then back home to finish laundry and help daughters pack for their early morning departure. And here we are... the washing machine is spinning, the dryer is running, the dishwasher is on its second cycle, the refrigerator is empty, and I'm making a grocery list. How many days until Christmas? I am thoroughly enjoying The Tenant of Wildfell Hall.... far more than either Jane Eyre (which I really must reread soon) or Wuthering Heights. Why is Anne the lesser Bronte? I definitely need to read more of them all. 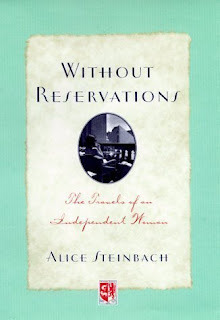 I started Without Reservations by Alice Steinbach on the recommendation of a book club friend. It is definitely hitting the mark. I hope to finish Comet's Tale by Steven Wolf later today. It's due back at the library and I wasn't sure I'd be able to read it in time. A gentle nudge from Candace at Beth Fish Reads convinced me it was doable.... besides, what self- respecting greyhound owner could pass this up? I recognize many common greyhound quirks and characteristics, but think Comet may be a little smarter than our hound. Sorry, Zelda! As for the rest of the year, I'm seriously considering finishing these three books and devoting December to Clarissa.... my guilt is getting the better of me! Do you have year-end reading plans? Enjoy the long holiday weekend. I'll see you next week. he left them to me. I am reading Anne Brontë at last. Although the least known of the famous sisters, her novel is totally engaging. I found an audio version for just $1.95 at audible, and am now listening in the car, too. The production is not the greatest, but price was right. What do you think of the opening passage? It may not be enough to entice most readers, but give it some time. 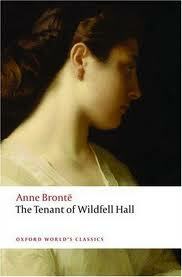 The Tenant of Wildfell Hall has turned into a wild and wonderful ride. Welcome to The Monday Mention, a new, occasional feature at Lakeside Musing. After four years of blogging, it's finally time to admit that I don't always have a lot to say about every book I read. Most of those books, however, still deserve time in the spotlight. 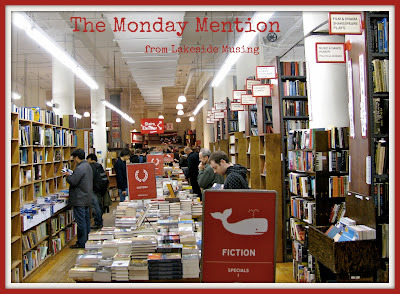 Monday Mentions may include brief thoughts on favorites (they're always harder to write about), mysteries, 'beach' reads, poetry collections, children's books, nonfiction, and more. 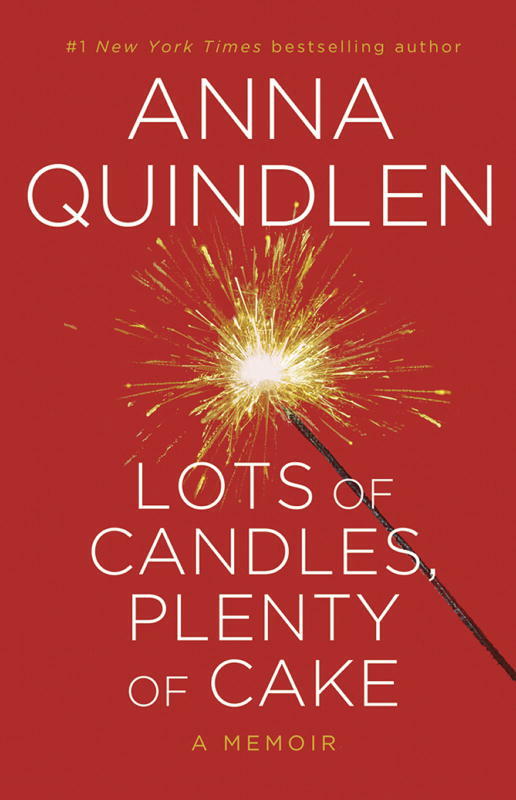 First up on The Monday Mention is Lots of Candles, Plenty of Cake by Anna Quindlen. Listening to this book was like spending time with an old friend. 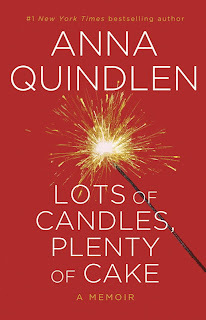 I've been an Anna Quindlen fan for years - from her Life in the 30's columns back the 80's through her most recent novel. This memoir is especially relevant to women over fifty and includes reflections on aging, family life, friends, faith, career, and more. 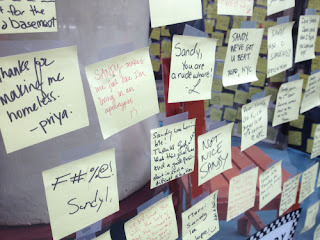 I loved each and every one of them! Lots of Candles, Plenty of Cake also has the distinction of being the first book I have ever knowingly purchased twice on the same day. After downloading the audiobook, I drove off to collect my daughter (with all her belongings) at college and bring her home the summer. Before reaching my destination, I stopped at a Barnes & Noble along the way to purchase a hardcover copy. There were so many passages I wanted to go back and reread, I needed a print copy, too. 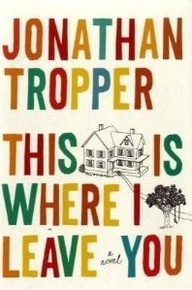 This will likely be a favorite book of 2012. Here we go again! 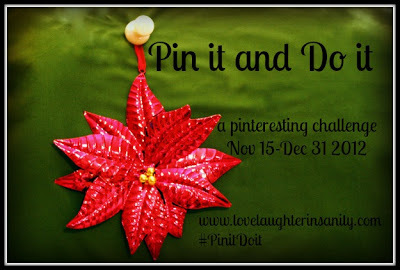 Trish is hosting a holiday edition of Pin It and Do It. It started on Thursday and runs through the end of the year. Once again, I'm in at the 'Pinterested' level, but you never know... I may end up as 'Pin Obsessed'. Find all the details here. Most of my new pins are Christmas-themed, but I have a couple of Thanksgiving decor pins I'd like to try this weekend. 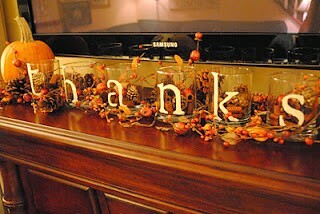 First, these gorgeous votives... maybe a little larger for the mantle. And how about these "Looking Glass Pumpkins" as part of a centerpiece? I'm off to the craft store. Have a great weekend! It is 1943 - the height of the Second World War. With the men taken by the army, Berlin has become a city of women. And while her husband fights on the Eastern Front, Sigrid Schröder is, for all intents and purposes, the model soldier's wife: She goes to work every day, does as much with her rations as she can, and dutifully cares for her meddling mother-in-law, all the while ignoring the horrific immoralities of the regime. Sigrid's tedious existence is turned upside down when she finds herself hiding a mother and her two young daughters - whom she believes might be her lover's family - and she must make terrifying choices that could cost her everything. City of Women is best described in two words: tense and intense. As residents of Berlin during WWII deal with the hardships of war, they are confronted daily with military actions which, for those like Sigrid Schröder, pose a moral dilemma. The constant doubts and suspicions of family, neighbors, and coworkers impart a palpable tension that is unrelenting over the course of the novel. It took me a little longer than usual to become fully invested in this novel. However, once involved, City of Women haunted me night and day until I finished... and then for days afterward. The experience, while not exactly enjoyable, gives plenty of food for thought. 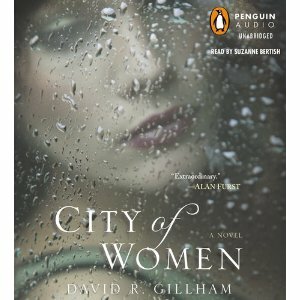 City of Women is one of the best-executed narrations I have come across in ten years of listening to audiobooks. I can't imagine another narrator doing a better job with this than Suzanne Bertish. Her voice and tone are pitch perfect; you can literally feel the tension, anger, and fear. 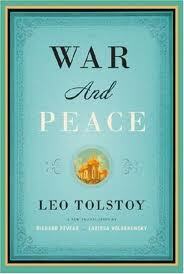 The audio version of this novel enhances and heightens the overall experience - very highly recommended. Months elapsed between reading Rules of Civility and gathering my thoughts for this post - a scenario that is far too common these days, I'm afraid. What is there to say now? I relished each and every sentence. 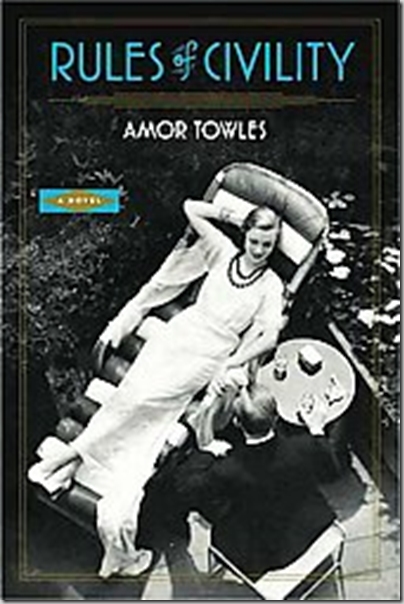 I will read anything Amor Towles ever writes. In addition to the writing, I loved the atmosphere, setting, characters, and plot. Can I elaborate further? No. I'm sorry. "The skyline at night is so breathtaking, and yet you could spend a whole lifetime in Manhattan and never see it. Like a mouse in a maze... Along whole avenues of the Lower East Side the sky was blotted out by elevated tracks and fire escapes and the telephone wires that had yet to be put underground. Most New Yorkers spent their lives somewhere between the fruit cart and the fifth floor. To see the city from a few hundred feet above the riffraff was pretty celestial. We gave the moment its due." "Over Charlotte's shoulder I could see Rosie studying her nails. Fully figured with a penchant for forgetting to button the top button of her blouse, you could just tell that if Rosie couldn't romance her way to the top of the Empire State Building, she was prepared to climb it like King Kong." "In the center of the table was a bowl of fruits so well-to-do- that half of them I'd never seen before. There was a small green furry sphere. A yellow succulent that looked like a miniature football. 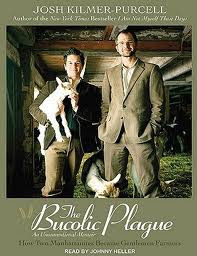 To get to Anne's table, they must have traveled farther than I had in traveled in my entire life." "You look back with the benefit of age upon the dreams of most children and what makes them seem so endearing is their unattainability - this one wants to be a pirate, this one a princess, this one president. But from the way Tinker talked you got the sense that his starry-eyed dreams were still within his reach; maybe closer than ever." November is the bleakest month. Brightly colored leaves are just a memory, cold temperatures return, sunshine is in short supply, and, as we bid farewell to Daylight Savings Time, early darkness is upon us. -maybe I could finally finish this on a deserted island? -Woman does not live on fiction alone. 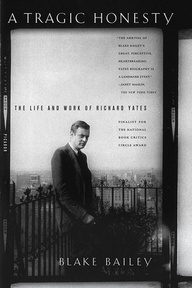 This is the best literary biography - ever! Good morning. Is it Monday already? Thanks to a quick trip to NYC, our weekend flew. We left Friday afternoon and drove into the city. I usually prefer the train but, with a car full of necessities for Daughter #1, it wasn't an option this time. We arrived in time for a late dinner at a favorite restaurant, after which tired parents were ready for sleep, while twenty-something daughter headed uptown for a party. Saturday was spent walking, engaging in touristy activities, shopping, and eating. Sunday morning we headed upstate for a visit/brunch with Twin A and her boyfriend, and arrived home just in time to ransom an anxious greyhound from the kennel. And now it's Monday. Believe it or not, I actually finished two books last week. 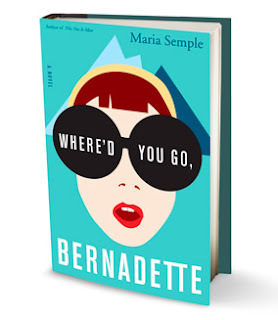 Where'd You Go, Bernadette by Maria Semple was just plain fun, and I loved The Bucolic Plague: How Two Manhattanites Became Gentlemen Farmers: An Unconventional Memoir by Josh Kilmer-Purcell on audio. A road trip to Sharon Springs is definitely in order, but in the meantime I'll preview The Beekman 1802 Heirloom Cookbook from the library. It may be a book I need to own. Yesterday I started The Tenant of Wildfell Hall by Anne Brontë and am looking forward to picking it up again later today... definitely a good sign. Elizabeth Gaskell, where have you been all my life? 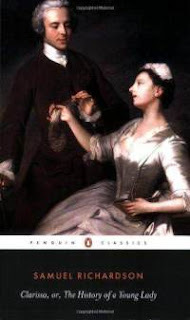 I've read few of Mrs. Gaskell's short stories, but can't figure out why it has taken me so long to read one of her novels. North and South, often referred to as her masterpiece, seemed to be a good starting point. 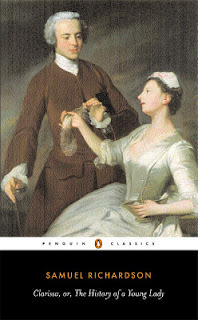 The story and themes were reminiscent of Jane Austen from the outset - first impressions, pride, class difference - and I settled in for what I hoped might turn out to be a very pleasant reading experience. Gaskell did not disappoint. I LOVED everything about this book - plot, characters, settings, and themes. The read/listen combination worked especially well with this novel and lead to my total immersion in the story. It will certainly be a favorite this year. 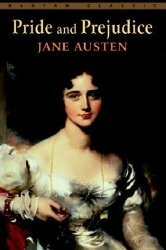 Although Gaskell wrote just a few decades after Jane Austen (and I consider myself a Janeite), I found Mrs. Gaskell much more accessible and easier to read. 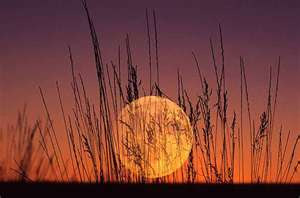 She also seems to write on a grander canvas, dealing with larger issues and the world outside the parlor and ballroom. I know those are sweeping generalizations to make based on a single novel - I'll just have to read more. 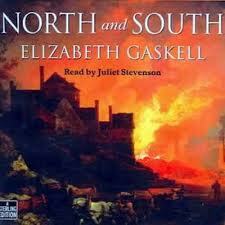 Juliet Stevenson's narration of North and South is sheer perfection. Her range of voices and accents is astonishing. 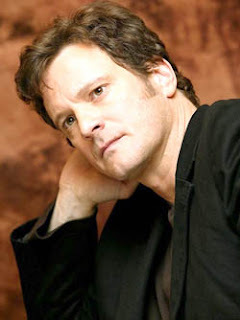 From the harsh northern speech of Mr. Thornton, his family, and workers to the refined London voices of Margaret and her relatives, it was always easy to differentiate between characters. I have just discovered that Stevenson also narrates Mary Barton. That makes the selection of my next Gaskell novel an easy task. The premise of the novel is quite simple - a blind competition to design a memorial to 9/11 victims is won by a Muslim and a storm of controversy ensues. This novel took me completely by surprise. I sat down to preview the first few pages and ended up reading fifty. I never expected to become involved so quickly, but set it aside the following day after realizing I could not attend the book club meeting. My travels plans changed at the last minute (courtesy of Superstorm Sandy) and I read the book in two days, finishing just moments before the meeting. The Submission proved thought-provoking in a ways I never imagined. There are so many approaches to the 'problem' of the memorial's designer and Waldman does an excellent job of presenting every angle. The ending was especially well done, and I loved the device of having the final chapter set at a distance of twenty years. There were only six of us present, but everyone read the book - an unusual occurrence! 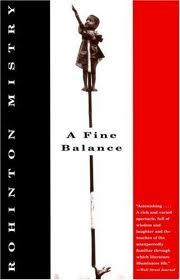 We all liked the novel to varying degrees and one of us really loved it. The discussion was thorough, far-reaching, and we stayed on topic much longer than usual. A couple members mentioned referring to the dictionary a time or two. We all agreed this was a book we would not have chosen on our own and were grateful to receive the recommendation from another group. Nowhere America? Hey, we all love Syracuse... and think Brattleboro and Duluth are probably nice places, too! A very thought-provoking novel, and an excellent choice for book clubs. Good morning, and what a week! 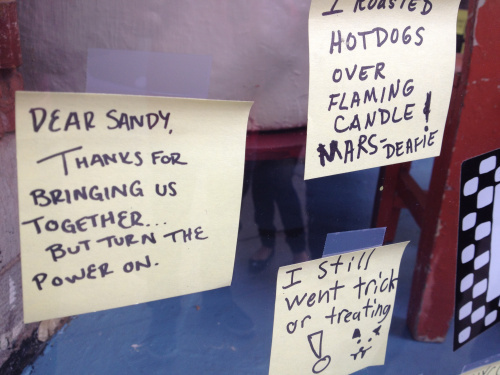 Sandy may have changed my plans, but we were lucky to escape the superstorm unscathed. So many lives have been altered forever; each photo, video clip, and interview from New York or New Jersey is sadder than the one before. My heart breaks for those in Sandy's path. My daughter, a Manhattan resident for just three weeks, had her power restored Friday evening. She endured a week without water or elevators, recharging gadgets at Starbucks and taking cold showers in a vacant apartment on a low floor of her building. 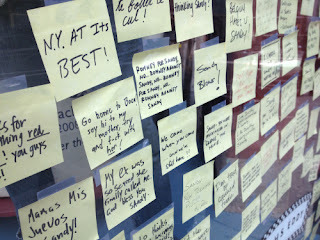 Yesterday she posted photos of a Post-It display taking shape outside of Fishs Eddy on Broadway. They're too good not to share. After our Pre-Thanksgiving Experiment dinner last Sunday, my week was spent in storm preparation, and then worry. 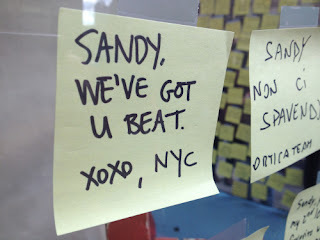 Obviously I did not go to New York on Thursday as planned, but will try again this week. The Random House Open House was also cancelled. I'm still working out details, but hope to attend the rescheduled event next month. My book club met Friday for a very lively discussion of The Submission by Amy Waldman. It was the first time in ages that everyone present had read the book. Where'd You Go, Bernadette by Maria Semple is my current book- what a hoot! It's just what I need after a week of fretting and uncertainty. On tap for today: weekly meal planning, grocery shopping, watching the Syracuse University basketball game, and reading. Sunday dinner around here usually means sauce, pasta, and meatballs with my extended family, a random friend or two, and sometimes an occasional priest - our Italian roots run deep! 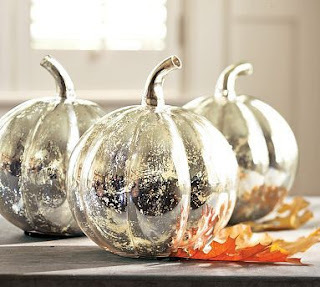 But every now and then, we change it up and last weekend inspiration struck via Pinterest - specifically, this pin. As you might suspect, holiday traditions also run deep and I would never experiment with a turkey recipe on The Big Day. I declared last Sunday's dinner "Pre-Thanksgiving Experiment #1". 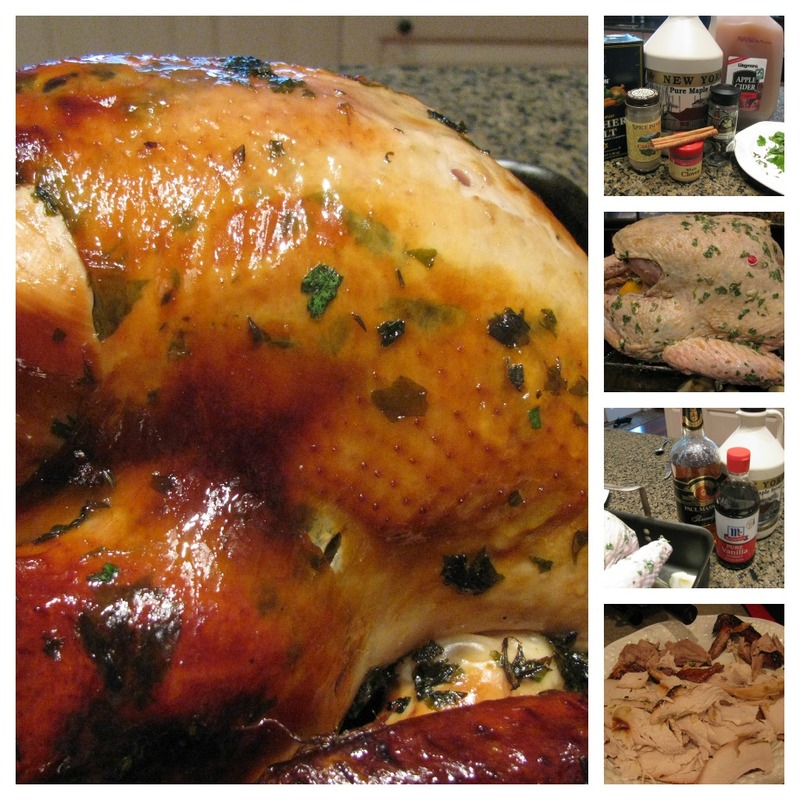 The main attraction was Cider-Brined Maple-Glazed Turkey. My brother-in-law joined in the fun by testing a new stuffing recipe (it was delicious! 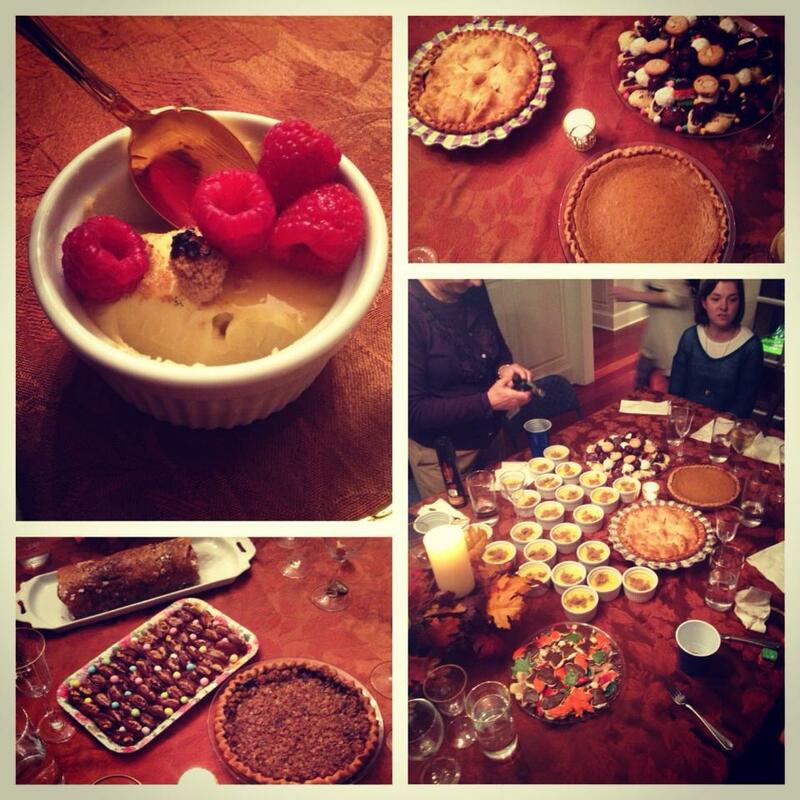 ), and we rounded out the meal with mashed potatoes, peas, and pumpkin and apple pies for dessert. Everything was so good, we may not need a Pre-Thanksgiving Experiment #2. First, I watched the pinned video. 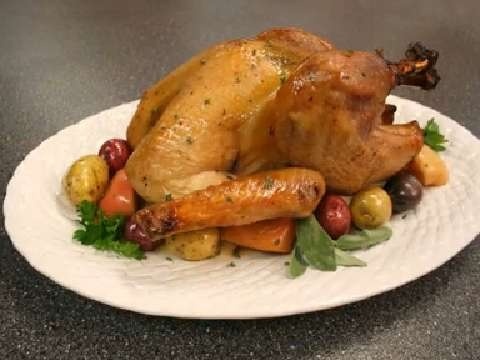 It's 14 minutes long, but very informative, especially if (like me) you've never brined a turkey. A printable recipe can be found here. The process began on Saturday with brine preparation and making herbed butter. The actual brining began later in the evening. Unfortunately, I got so caught up in finding a proper container that I forgot to take a picture. I ended up using a strong garbage bag carefully positioned in a cooler. Sunday morning, I removed the turkey from the brine solution, rinsed it, and left it in the refrigerator for a few hours. Just before roasting I prepared the glaze and rubbed the entire turkey with herbed butter, even under the skin. After basting with glaze, the turkey was finally ready for the oven. A few hours later, we enjoyed the most delicious turkey - ever! The first annoying thing is when I ask Dad what he thinks happened to Mom, he always says, "What's most important is for you to understand it's not your fault." You'll notice that wasn't even the question. When I press him, he says the second annoying thing, "The truth is complicated. There's no way one person can ever know everything about another person." Mom disappears into thin air two days before Christmas without telling me? Of course it's complicated. Just because it's complicated, just because you think you can't know everything about another person,, it doesn't mean you can't try. I'm in the mood for a fun, light read this weekend and decided on this book after reading Amy's review. So far, it seems to be the perfect choice. Book Beginnings on Fridays is hosted by Rose City Reader. Find more beginnings here. Here is the October collection post for our Clarissa Group Read. If you've written a post for Letters 523 - 533 or have comments on your October reading of Clarissa, please let me know in the comments and I'll add your link.